NUPROL 4.0 Ultimate Power Gas – Black is a high performance gas for rifles and IPSC, designed to operate at lower temperatures (between 3c – 20c) allowing to use your weapon all year round. 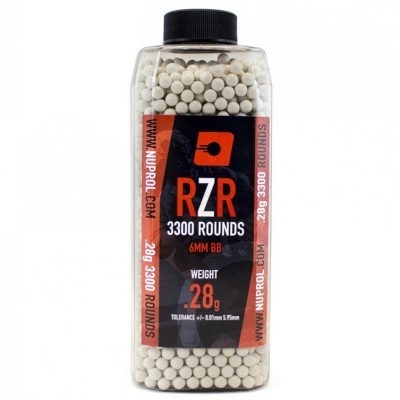 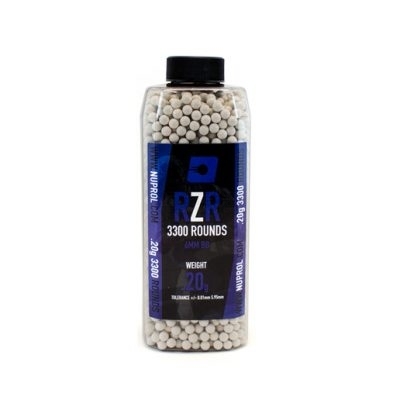 Using this high power mix gives an increase in FPS, GBB efficiency and a harder kick. 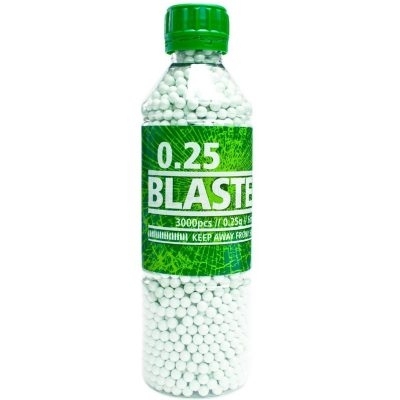 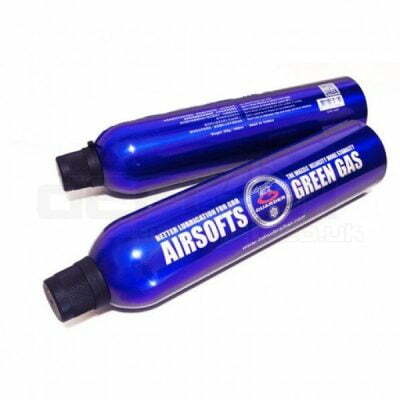 Each bottle is constructed from strong Alloy, and contains 300g of pressurised gas. 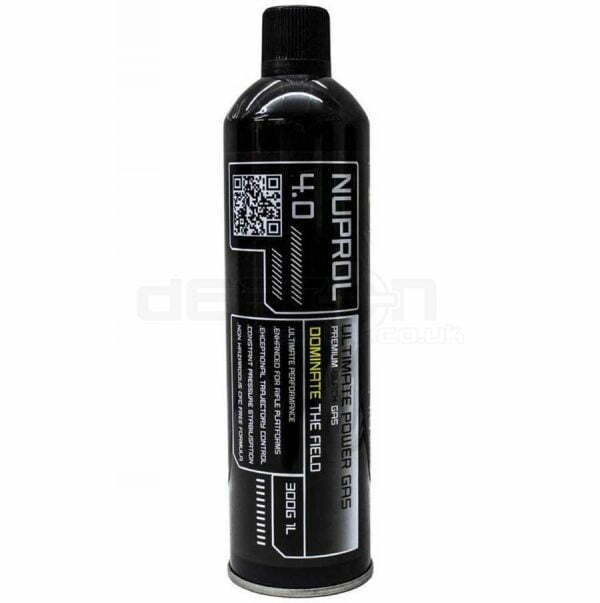 The nozzle is long, and is constructed from Metal, giving a better fit into gas valves on your magazines.